The Theatre Arts major blends hands on experience in production with foundational training and advanced study. A core liberal arts base of coursework serves intermediate and advanced study in the classroom, rehearsal room, studio and theatre. Students have the option to specialize in one or more of three areas of emphasis (performance/production; design/tech; history, dramaturgy and criticism). Faculty advised capstone experiences, directed studies and special projects complement coursework. All majors are mentored by leading professionals who are also passionate teachers. Theatre Arts majors regularly work alongside faculty, graduate students, teaching artists and professional guests. The department provides experiences in many areas of theatrical production, training and study. 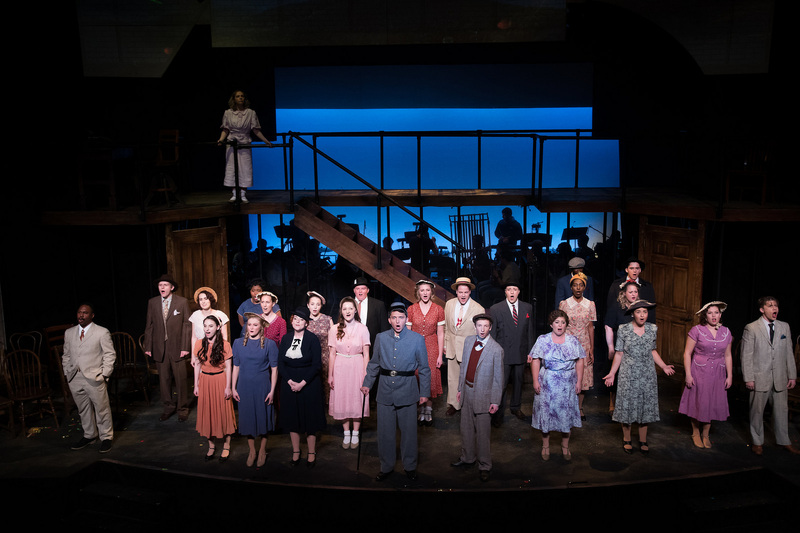 Theatre Arts boasts a robust production season of three to five main stage shows, directed by faculty or guest directors and three to twelve lab shows directed by graduate or advanced undergraduate students. The department regularly hosts guest artists for additional workshops, lectures and talks. Auditions for all productions are open to majors and non-majors alike. Theatre Arts majors regularly secure internships, apprenticeships and employment in theatre production upon graduation. Theatre Arts majors have successfully gone on to graduate training programs in performance, design and history. Still other graduates find their Theatre Arts BA excellent preparation for law school, medical school or other fields of employment that prioritize communication, project management and creativity. ​For more information, please feel free to contact the Director of Undergraduate Studies: Professor Gianni Downs. Undergraduates specialize in acting, directing, design and technical theatre, theatre history and criticism, or any combination thereof. Find out how to apply to the undergraduate program. View a list of courses for undergraduate students. Learn more about the requirements needed to obtain a major in Theatre Arts. Learn more about the requirements needed to obtain a minor in Theatre Arts.